It can be a bummer. When rain showers show up unexpectedly, it can wash out any plans of playing outside. After all, who wants to splash around in puddles on the sidewalk? Who wants to go skipping through a little sprinkle? Who wants to hop around in the rain like a frog? Actually, that sounds kind of fun! We bet your child is all about splashing around in some puddles. 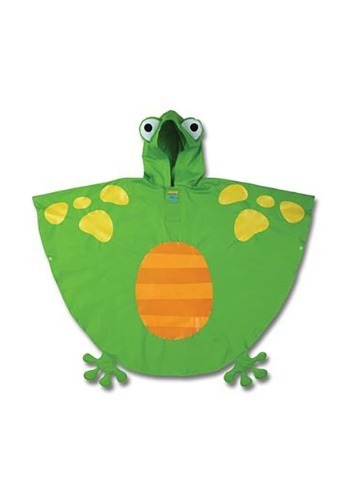 Well, now, with this Frog Rain Poncho, it helps keep your child’s clothes dry while they dash through a soft Spring shower! 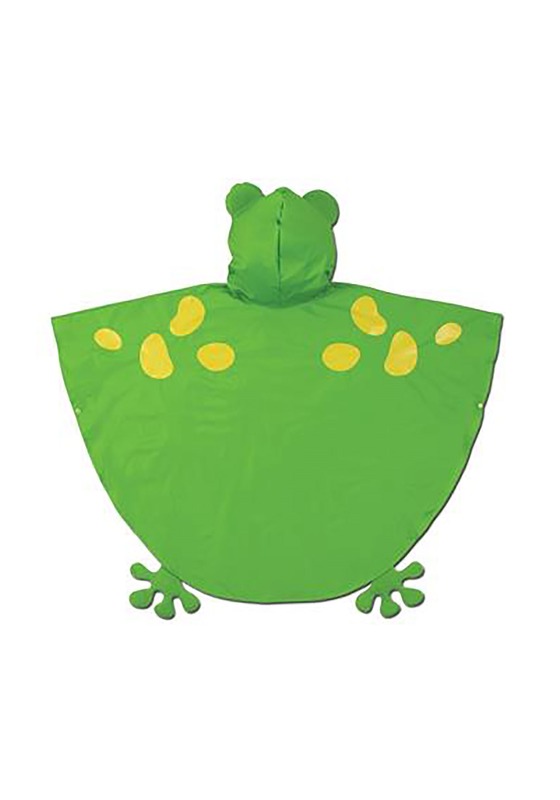 This Frog Rain Poncho turns a little rain into an adventure! The rain poncho is made from a waterproof PVC material and features a bright green color scheme, just like that of a little pond frog. The front has yellow spots and an orange little tummy for added cuteness. The bottom of the poncho has frog feet on the bottom and the top has an attached hood. The hood is shaped like a frog’s face and even has a pair of cartoonish eyes on the top. Just slip this on over your child’s clothes and they’ll be ready for a little splashing in the rain! Of course, the best part about this poncho is that you can use it as a quick and easy costume! Since it does such a great job of turning your child into a little froggy, you just need to put this on your child to create a costume that’s both cute and functional for a springtime costume party!